On those few dreaded Sundays when the Packers don’t play, (like the next two Sundays) it is often hard to find things to do to keep yourself occupied. Here is the top 10 things to do until Green Bay plays next. Good afternoon my fellow Packers fans! 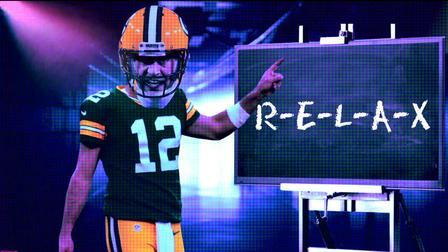 As you all probably know, the Packers have a BYE this week. That comes with some good news and some bad news. The bad news is that this Sunday will be Packerless. The good news though, is that there are plenty of other games we can watch to pass the time AND it will give our injury-ridden team a little break to help them heal up and come back good as new! Well, maybe not good as new, but possibly good as gently used? The Packers had another rough week this week with no help from the Bears and Vikings as both teams won their games for the week. Green Bay faced the New Orleans Saints at Lambeau field and still have some kinks to work out after the loss of Aaron Rodgers last week in Minnesota. By now, most Packers fans are aware that our team has a number of injuries. Here is a look at those the team faced this week. Well today was a rough one folks. At noon the Green Bay Packers started their battle against division rival Minnesota Vikings. Many fans had high hopes that the Packers would have another win on their belt and a bigger division lead. Unfortunately, things did not go as planned. The 23-10 loss may not have been the worst thing to happen to the Packers today though. My name is Katie Quinn and I am the author of The Green and Golden. I am so glad you made it to my site! If you’re reading this blog you’re probably a fan of the best sports team of all time, the Green Bay Packers. I too, am a fan of the green and gold, obviously, otherwise I wouldn’t be devoting my time to blog about the organization. Aside from being a fan of the Packers, I am a senior at the University of Wisconsin-Whitewater. I am a Communications major with an emphasis in Public Relations and a minor in Advertising. I was born and raised in Baraboo, Wisconsin, just a 2.5 hour drive from Lambeau Field. When I am not watching or following all things Green Bay Packers, I love to spend time with my dog, a golden retriever lab mix named Nola. I also enjoy hiking to places with great views. I value time spent with family and friends as well. If you’d like to learn more about me follow me on twitter (@KatieSQuinn26) and on Instagram (@ksquinn26). For inquiries please contact me at ksquinner@yahoo.com. I hope you enjoy my blog! 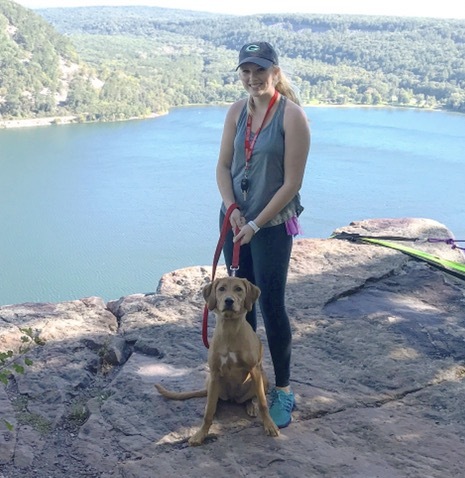 Nola and I at our favorite hiking spot at Devil’s Lake State Park in Baraboo, WI. King was injured early on in the first quarter. He is currently under evaluation for a concussion. Brice injured his ankle on his first play in the game. His return for next week is currently questionable. Whew! My heart is still pounding after that thriller at AT&T Stadium! This week the Green and Gold traveled to Dallas to take on the Cowboys in a matchup that many expected to be a revenge game for Dallas after Green Bay knocked them out of the playoffs last season on a final second field goal kick. Little did they know, Aaron Rodgers was as hot as always and led the Pack to another fantastic finish with the Green Bay on top. The Packers got off to a tough start with some struggles on defense and a missed extra point in the first quarter. Dallas marched downfield for a touchdown on their opening drive, but Green Bay was able to respond by doing the same. With the missed extra point the Packers managed to finish the quarter down by only one with a score of 7-6 Dallas.